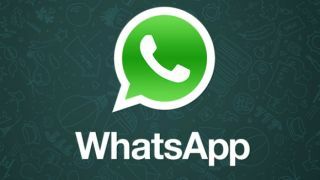 WhatsApp is saying what's up to a new feature on all of its apps (iPhone, BlackBerry, Android, Windows Phone and Nokia) today: push-to-talk voice messaging. AllThingsD outed the news in an interview with Co-Founder and CEO Jan Koum. From the looks of it, it's markedly simple - push a record message within the updated app. Let go, and the message zooms off to the receiver. Don't like what you said? Then swipe left and the recording vanishes. Users won't have to speed up to get their message in an allotted amount of time as there's no limit. Volume automatically adjusts depending on how far the device is from the person, and a blue microphone icon to indicate when a recording has been heard. Sounds pretty sweet, as do these numbers for the undoubtedly popular app. According to WhatsApp, it has 300 million active monthly users, who send 11 billion messages and receive 20 billion every day. Each day, there are 325 million photos circulating WhatsApp's atmosphere. We're sending a message: read more blips. Left 4 Dead and Source 2 engine spotted at Valve HQ?